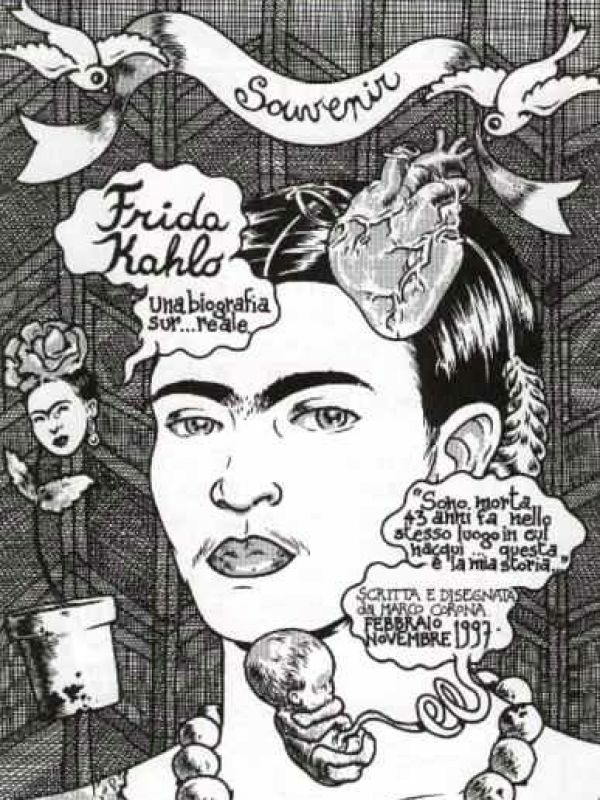 Check out the above link for of his full cartoon episode inspired by Frida Kahlo. 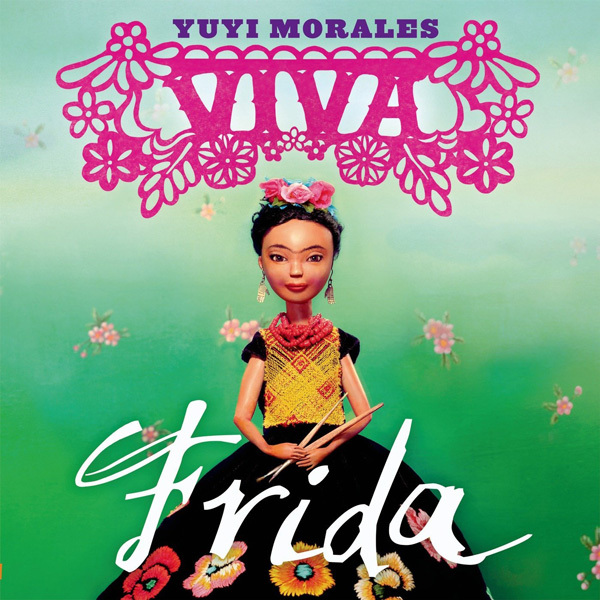 In the bilingual picture book “Viva Frida,” the author and illustrator Yuyi Morales presents a simplified version of the Frida mythology for younger children. 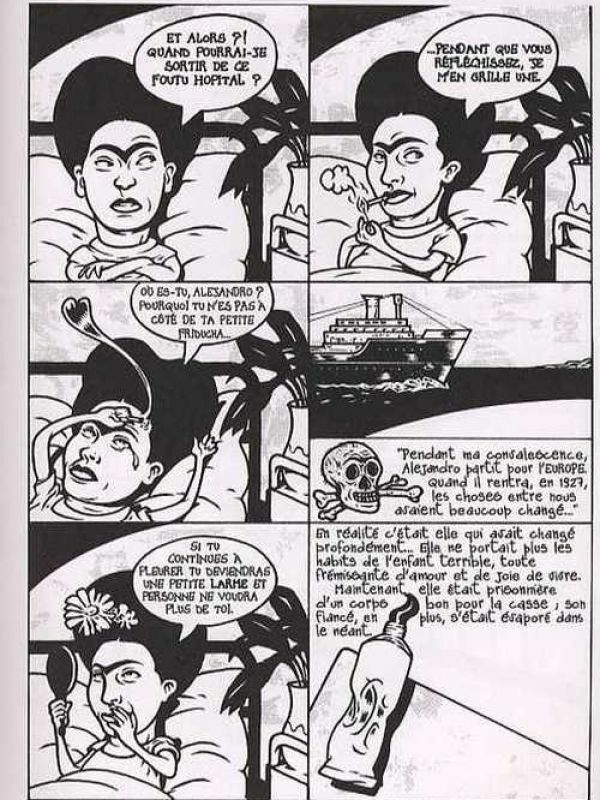 Each page depicts a young Kahlo taking another step as she comes to realize that she is an artist and must create. 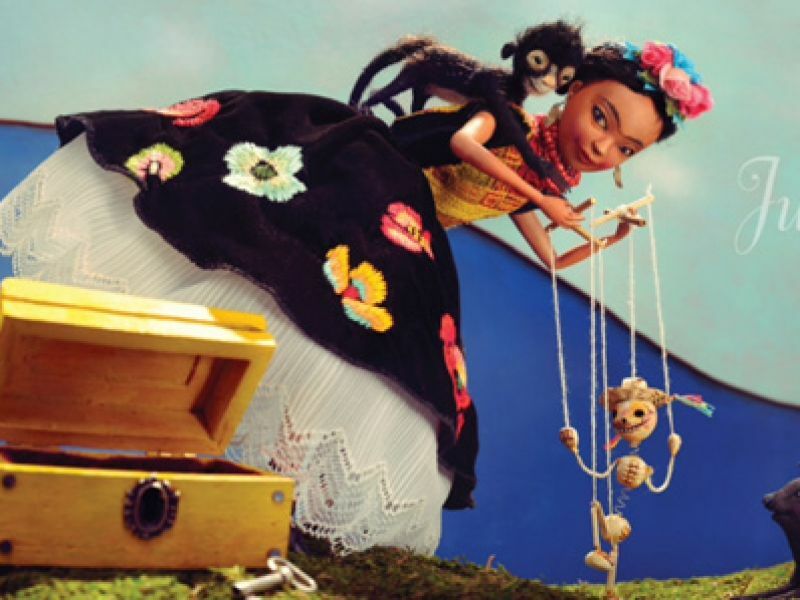 The illustrations consist largely of Morales’s delicate stop-motion dolls of Frida, photographed against colorful acrylic backdrops by Tim O’Meara. 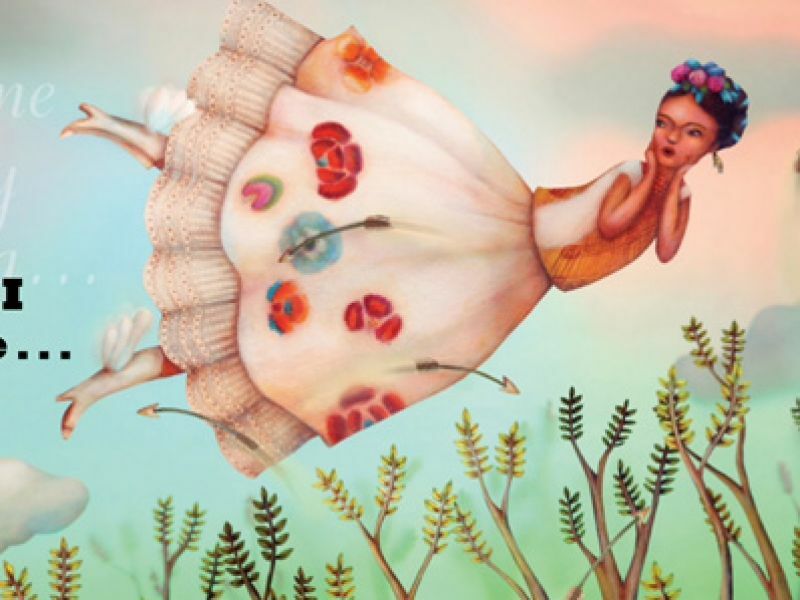 Frida wears flowers in her hair, beads and traditional Mexican embroidered dresses. On one page she dangles a marionette of a Day of the Dead painted skeleton next to the words “I play/Juego.” Another says “I dream/Sueño” as the top of the doll’s head, eyes closed, appears underneath painted dream figures of Frida soaring through the sky, with Morales’s homespun puppets of a monkey and a dog next to her. 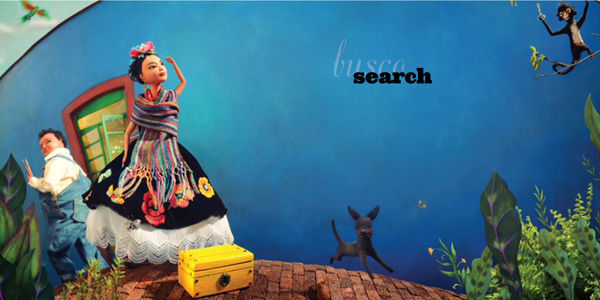 There is plenty for young children to look at, though Morales’s Frida dolls do not capture much of a likeness beyond the artist’s famous unibrow, and they convey an un-Frida-like carefree quality. 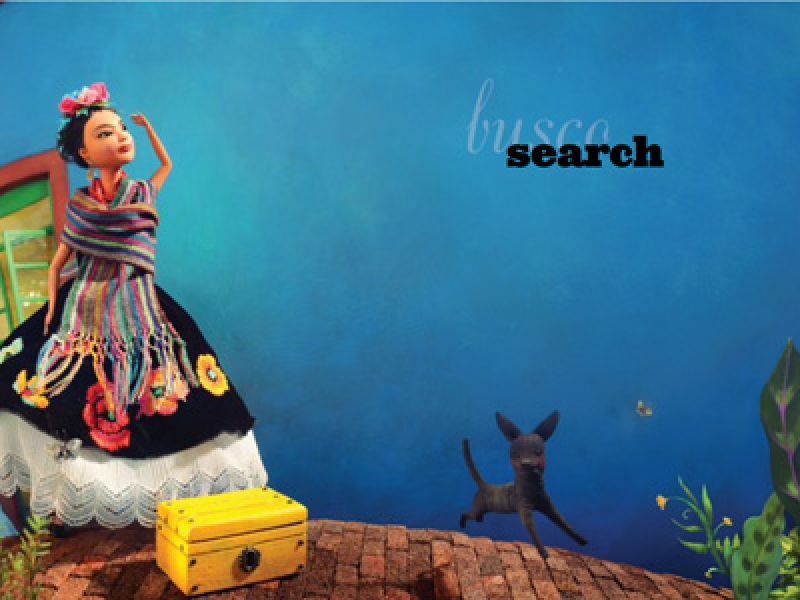 They seem meant to be a hybrid or fusion of Frida Kahlo and Yuyi Morales herself. “As a child, whilelearning to draw, I would often study my own reflection in the mirror and think about Frida,” Morales writes in an afterword. Chapter 6: Am I... Surreal?